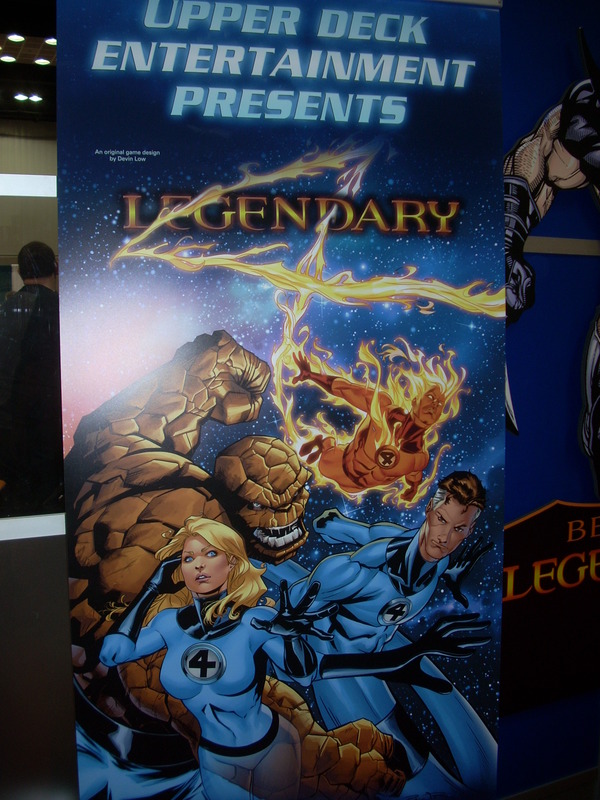 While walking around the showroom floor of Gen Con this past weekend, I noticed a sign for an upcoming expansion to Upper Deck‘s deck building game Marvel Legendary. Website ICv2 is reporting, there’s actually two that will be coming out, the second announced at an event during the convention. The set announced during a party at the Hard Rock Cafe, Upper Deck announced that a Spider-Man themed set will be making it’s debut. Artwork featuring Spider-Man and Carnage were both pictured. The company also announced a contest to name the set, with a hope that it’ll have a Carnage theme to it. The winning entry will receive a free copy of the deck. The two new Masterminds, as well as new mechanics and schemes, for this set are Carnage and a yet to be announced character, and no it’s not Venom. The art for the set will be done by Matthew Clark. There’s 100 cards in the set and it’ll retail for $19.99. In October, a set based on the Fantastic Four will be released. With art by Ale Garza, J.J. Kirby and Nigel Raynor, the set will also feature 100 cards. The expansion has of course the Fantastic Four, Silver Surfer with Mastermind Galactus. The set will include five heroes, two new villain groups and two Masterminds. That will also retail for $19.99. At the convention, numerous tournaments occurred of the game, though it seemed Upper Deck had trouble filling in seats. 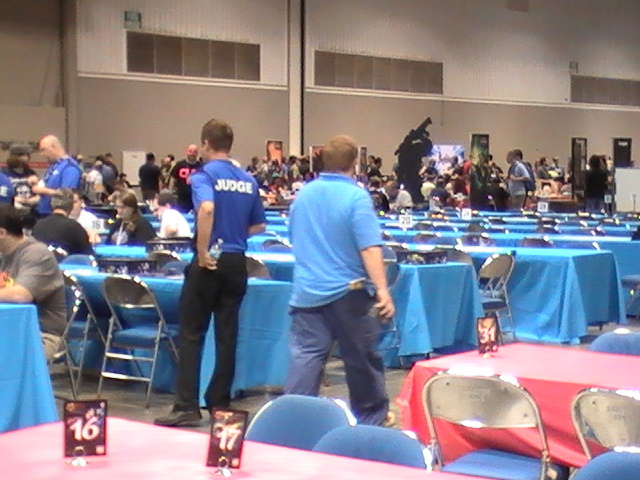 Unlike AEG, Fantasy Flight, Heroclix or Magic which which were all in close proximity and constantly filled, Upper Deck had rows upon rows of empty seats which you can see to the right. I’d estimate at the times I went by, the section was about 25% to 33% filled each and every time. Out of all of the game publishers in the tournament area, this was the only section that seemed to have that issue and it was constant (I confirmed this with individuals running tournaments in surrounding sections). We’ll see over the next year if the game has legs or is already showing signs of burnout that lack of tournament interest would indicate. I wonder why they couldn’t fill the seats. Did you play it, any good? No idea. I thought it was very odd. Maybe I went by at bad times? But I was constantly walking by and the seats were empty every single time. And no other section had that issue. It didn’t look good at all. I think the game is good, didn’t blow me away. There’s other deck building games I’d play before it, like the numerous versions of Dominion. Interesting. Sounds just like DC’s deck building game, decent, but nothing extraordinary. Dominion is one of the few games I’ve played, it’s great. Definitely better than the DC one that came out at the same time. There was some fun aspects with the Marvel one from what I remember, but I think they’re both pretty dead as far as interest.